HELSINKI, July 16. /TASS/. The talks were better than super, Russian Foreign Minister Sergey Lavrov said on Monday after a summit meeting between Russian and US Presidents, Vladimir Putin and Donald Trump, in Helsinki. When asked about the talks, he said, "They will tell you everything soon." When journalists kept on asking, Lavrov said, "Better than super." 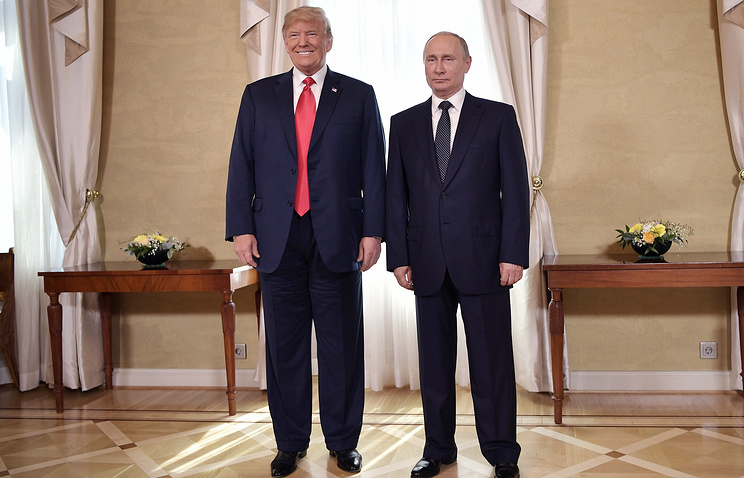 Putin and Trump spoke behind closed doors for more than two hours to be later joined by other officials, including Russian Foreign Minister Sergey Lavrov and US Secretary of State Michael Pompeo.